Cardinal Polish Framed Pictorial Shop Display Card. 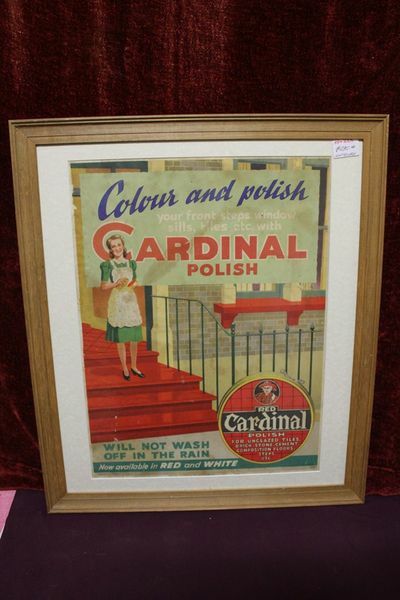 A Retro Cardinal Red Polish Framed Pictorial Shop Advertising Display Card. 63cm x 53cm.